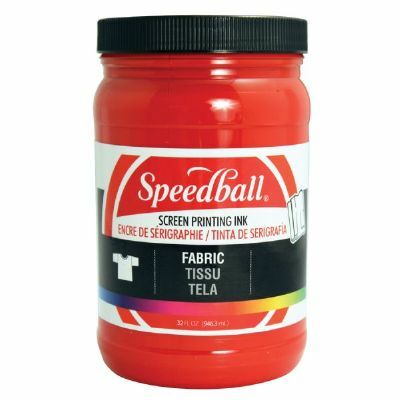 Brilliant colors including process colors for use on cotton polyester blends linen rayon and other synthetic fibers. NOT for use on nylon. Also works great on paper and cardboard. Wash-fast when properly heat-set. Non-flammable contains no solvents or offensive smell. AP non-toxic. Conforms to ASTM D-4236. Can be screen printed or painted on with a brush. Archival qualities. 32 oz.